Dr. Robin Wittenstein has been named CEO of Denver Health. She succeeds Arthur Gonzalez, who retired from the position last June. Wittenstein was most recently an executive leader at Penn State Health, a network of clinics and academic hospitals across central Pennsylvania. Steve Hanson, CEO of Louisville, Ky.-based Baptist Health, has stepped down after four years at the top post. Janet Norton, chief legal and regulatory affairs officer, and CFO Steve Oglesby will take over his duties in the interim. Hanson, 65, joined Baptist in March 2013 after about eight years as executive VP and operations leader for Texas Health Resources' Dallas-Fort Worth region. 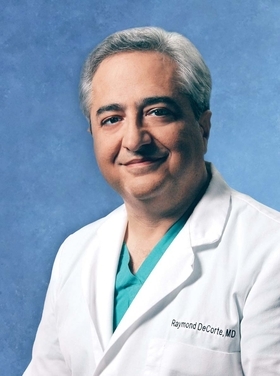 Dr. Raymond DeCorte has been promoted to interim president and CEO of East Jefferson General Hospital in Metairie, La. He replaces longtime CEO Dr. Mark Peters, who retired this month. DeCorte, 57, has been with East Jefferson for about 20 years. He was most recently chief medical officer, leading a medical staff of 650 physicians. Alan Daugherty has been named CEO of SageWest Health Care, a two-hospital system in Riverton, Wyo., that is part of LifePoint Health. He replaces Tracie Stratton, who has served as interim CEO since December. She will remain as VP of nursing and clinical operations for LifePoint's Western Group. Daugherty most recently was CEO of Parkview Regional Hospital, Mexia, Texas, and Ennis (Texas) Regional Medical Center, both LifePoint facilities.